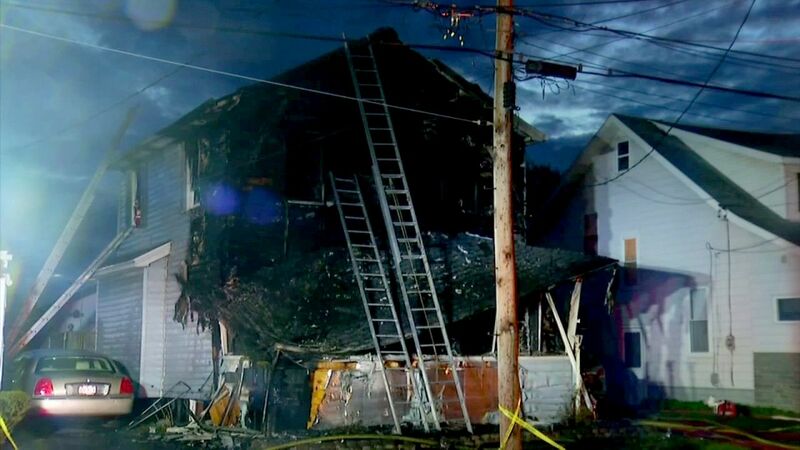 SYRACUSE, New York -- A pre-dawn fire tore through a home in Syracuse, killing six members of the same family, fire officials said Friday. Syracuse Fire Department officials said the blaze was reported around 3:50 a.m. at a home on the city's north side. When firefighters arrived just minutes after receiving a 911 call, the front of the house was engulfed in flames, officials said. 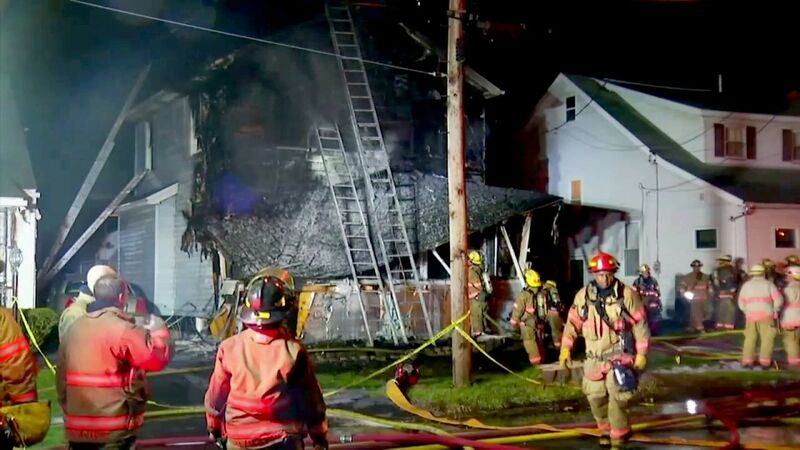 Fire Chief Paul Linnertz said firefighters were attempting to enter the front of the burning two-story home when the porch roof collapsed, forcing them to retreat. "So they had to back out and find another way into the house," Linnertz said. Firefighters used ladders to enter the second floor, where they found four bodies. Two others were found downstairs. The flames were put out about 30 minutes later. Linnertz told Time Warner Cable News that all six victims were related. A seventh person was able to escape and has been taken to a hospital. No other information was released. Sebira Pehlic told The Syracuse Post-Standard that she "heard a boom" about an hour after returning home from work at 3 a.m. Friday. She looked out a window and saw smoke and flames coming from a house four doors away. Pehlic says the fire spread quickly. A photo she took that was posted on the newspaper's website shows a wall of flames shooting from the front of the house. Pehlic said the family living at the home had two daughters ages 7 and 12.